Game of Thrones is officially back, y’all! After waiting with bated breath for the beloved HBO series, season eight kicked off with a bang on Sunday. 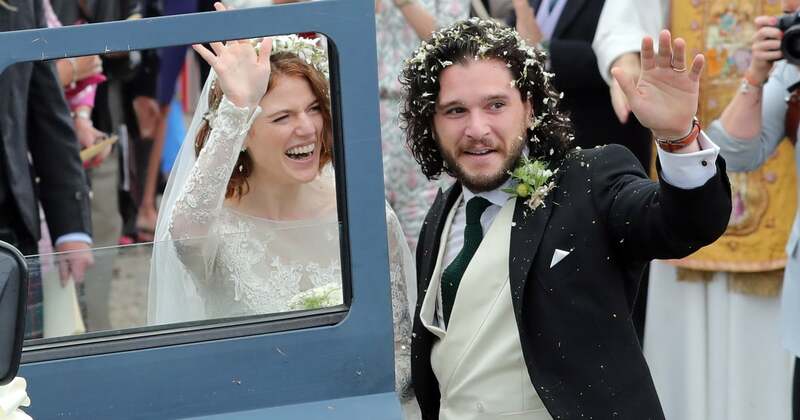 Jon Snow returned to Winterfell with the queen herself, Daenerys Targaryen, and Tyrion Lannister reunited with ex-wife Sansa Stark for the first time since King Joffrey’s wedding. Oh, and don’t even get us started on that sneaky It’s Always Sunny in Philadelphia cameo! Since it’s been a while since we’ve seen the cast, you might be wondering about their real-life love lives. Who’s single and who’s taken? Well, don’t worry: we got you covered! PS — we don’t blame you for still swooning over Kit Harington, even though he’s married now. After all, there’s no harm in just looking, right? Next Game of Thrones: Exactly How Old Are Arya and Gendry?